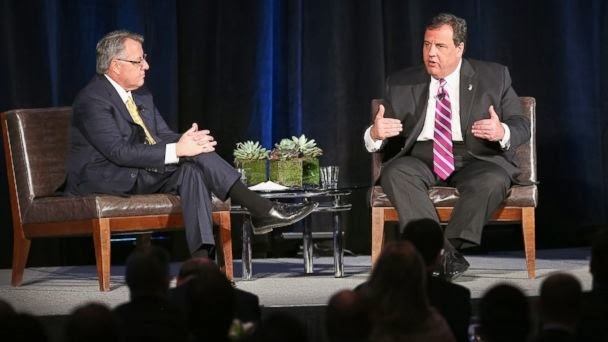 New Jersey Governor Chris Christie made a stop in Chicago yesterday where he spoke to a sellout crowd in the city and raised some dough for the Republican Governor's Association. In his talk, he made a point to say that Republicans 'can' win in Illinois as he's proof of a Republican Governor in a blue state. But, he also went out of his way to say that we can't be so focused on the divisive issues that conservatives in Illinois want to ONLY focus on like Gay Marriage and Abortion instead of focusing on issues that all Illinois voters care about like solving problems in transportation, taxes, and crime. Chris Christie on tea party: "Political parties are there to win elections," not win an argument. We should remember that, folks. We need to win elections if we want to change Illinois. We won't win with fringe candidates who are focused on fringe issues.